Ann Grackin, of ChainLink Research, recently published a summary of the Council of Supply Chain Management Professionals conference. 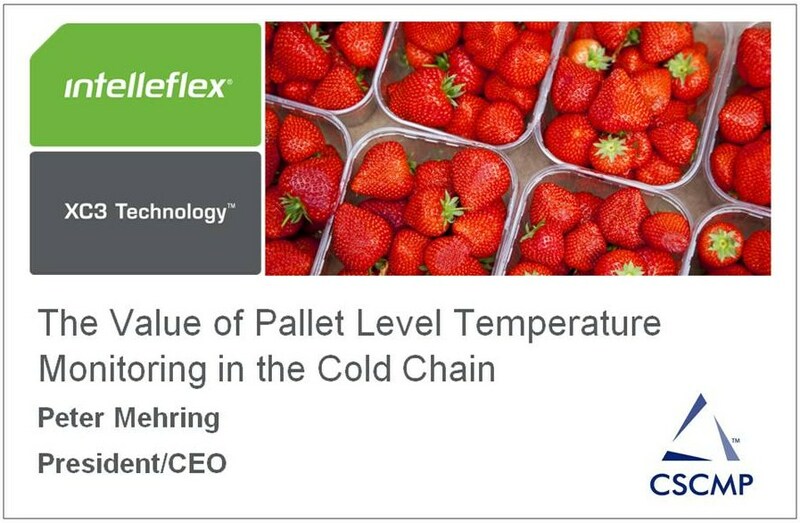 Intelleflex CEO Peter Mehring was part of a panel on Cold Chain Management during the conference. You can read Ann’s summary of the conference here. Clearly, government mandates plus consumer illnesses are getting to the food and Pharma companies. Cold Chain is a global issue. We learned a lot about this topic with a small, but clearly, dedicated audience (that did not leave the Cold Chain sessions) that tried to obtain all the cold chain nuggets of information they could digest. Firms like FoodLink, Intelleflex, SYSPRO, and ImpactFactor along with standards group GS1 really helped cook-up some important insights about cold chain challenges and where we need to go from here. With over 30% of the world’s food going to waste, it seems like there is a huge ROI across the supply chain, if we can just dig our forks into it! The Cold Chain Management Panel used the example of the impact of temperature on strawberries and how proper temperature monitoring can reduce waste and improve operations. If you’d like a copy of Peter Mehring’s presentation, please email me. I’d be happy to send you a copy. This entry was posted in Perishables, RFID News, RFID Tags and tagged Council of Supply Chain Management Professionials, CSCMP. Bookmark the permalink.